In the midst of the teeming bustle of a city, there is nothing better than time spent in a city-park oasis, getting away from it all in a cool green expanse. 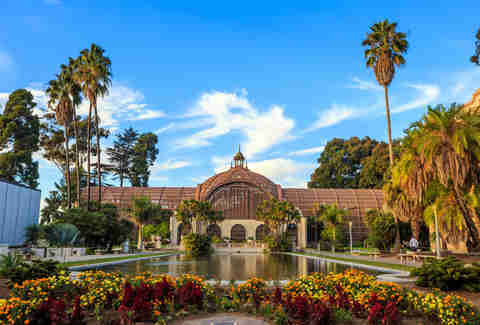 But these days, there's a whole lot more to America's great city parks than a swing set and an open field -- if it doesn’t have a botanical garden, a zoo with exotic animals, or a natural wonder of some sort, well, no one is complaining, but it can't count itself among America's very best city parks. Lucky for you, we've looked all over the country and ranked the 15 coolest spots to kick back and relax, catch a great concert, and hike or bike the best trails. Because there's more than Central Park in this world -- so much more. 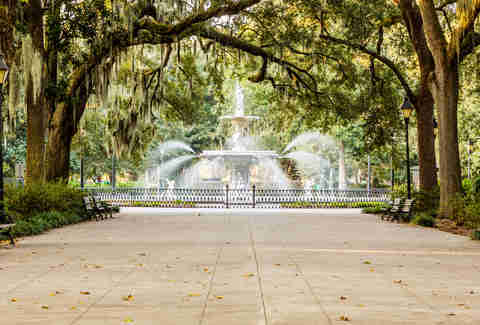 Forsyth Park is best known for its magnificent fountain on the north side of the park built in 1858; it closely resembles other fountains in countries around the world including in Paris, France and Cusco, Peru. The water is dyed green every year for St. Patrick's Day, an event that draws out hundreds, sometimes thousands of locals. Located in Savannah's Historic Downtown District (one of the most beautiful historic neighborhoods in America), it's a 19th-century dream, with walking paths and tree cover. And there's the walled Fragrant Garden, made with the blind in mind so they could experience Savannah through smell. With plenty of attractions to entertain adults and children alike, and just a few blocks away from the heart of Central Phoenix, Encanto is every Phoenician's best friend. 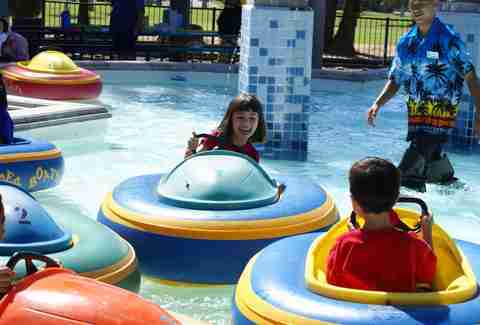 There's an amusement park, two golf courses, swimming, a sports complex, and a lagoon offering paddleboats, canoeing, and fishing. Other cities may have larger parks, but few compete with Encanto Park's entertainment options. Not so surprisingly -- based on the name alone -- this is the largest wooded urban park in the country, and the crown jewel in a city full of great parks. With its 70 miles of trails, visitors will quickly forget they are still within city limits, just 10 minutes west of Downtown. Portlanders come to Forest Park to hike, bike, ride horses, breathe the fresh air, and enjoy this huge chunk of natural space that city leaders were wise enough to set aside in the 1860s. 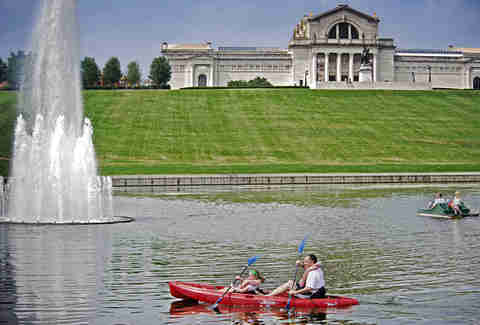 Located not far from the University of Pittsburgh, this park is fit for active souls. And that's athletes of any kind. The Schenley Oval Sportsplex, at the park, has an NCAA-regulation running track, sports turf soccer field, high-jump area, tennis courts, and cross-country trails. 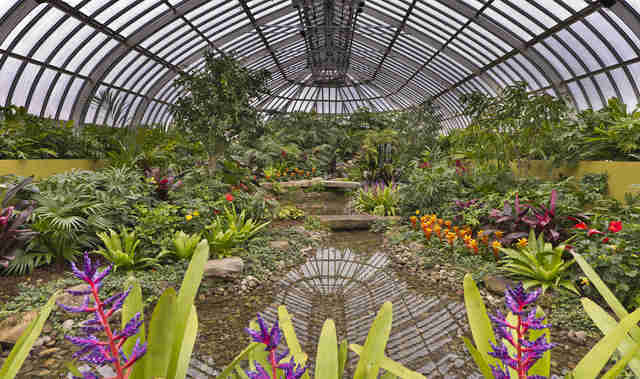 Schenley is also home to Phipps Conservatory and Botanical Gardens, with some of the greenest gardens in the world and finest art collections. You'll also find this an easy place to slow down and enjoy walking trails, green meadows, a disc-golf course, and a regular old 18-hole ball-golf course. 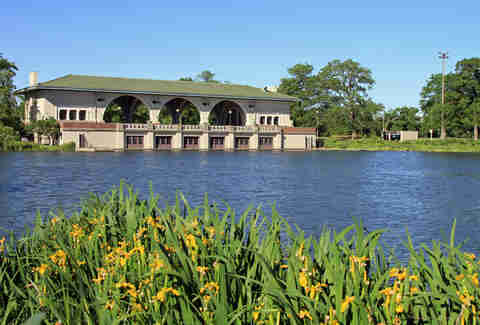 The Chicago neighborhood of Humboldt Park is best known for its Puerto Rican community, so in the 219-acre park you'll find the National Museum of Puerto Rican Arts & Culture -- the only museum in the United States dedicated to showcasing Puerto Rican history and culture. The most beloved feature, however, is the boat house adjacent to the man-made lagoon, where the annual summer Latin Jazz Festival is held, which brings in Latin jazz greats from all over the country. Don't miss the empanadas and other eats from the many Puerto Rican food vendors. Nicknamed "The Best Backyard in Baltimore," Patterson Park has the perfect balance of open space for summer sunning and enough amenities that you will never get bored. You'll find a swimming pool, sports fields, and tennis courts, plus a boat lake where you can throw out a line and catch some fish. 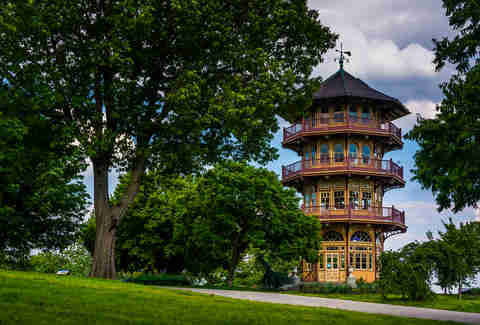 But the Hampstead Hill pagoda, a four-story, Victorian-era observation tower framed by pink-white flowering trees, is the biggest attraction; from the top you can view the entirety of the park, Downtown Baltimore, and the harbor. 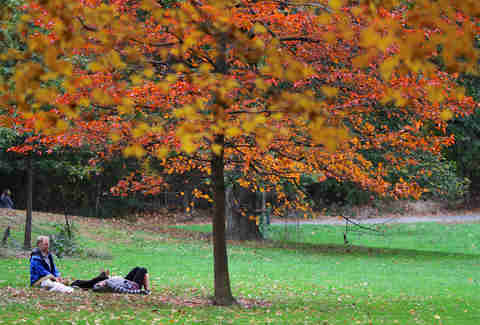 If we're going by looks alone, it's hard to top the Arnold Arboretum. Bursts of color pop throughout this link of Boston's Emerald Necklace, with 15,000 plants representing 4,000 kinds of trees, shrubs, and vines, all maintained by Harvard horticulturists. From lilacs to crab apples, each collection is extensive, and will keep your eyes dazzled no matter where you turn. 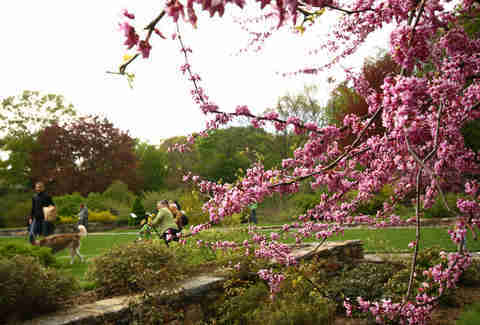 There's no bad time to visit Arnold Arboretum, but it's especially fragrant and lush in spring of course, hitting its peak for Lilac Sunday, held every year on the second Sunday of May, which is the only day picnicking is allowed in the park. If you hug trees (and even if you don't), you'll love the largest and oldest collection of mature live oak trees at this park -- with some branches that spread twice the height of the trees. That should get you the perfect amount of shade for a relaxing afternoon nap. 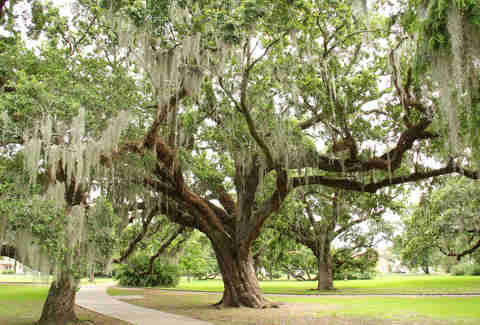 There's also sprawling green spaces and moss canopies, the NOLA Botanical Garden, an open-air sculpture garden, and the Carousel Gardens Amusement Park. It's got 17 rides, including the amusement park's namesake, an antique wooden carousel of "flying horses." 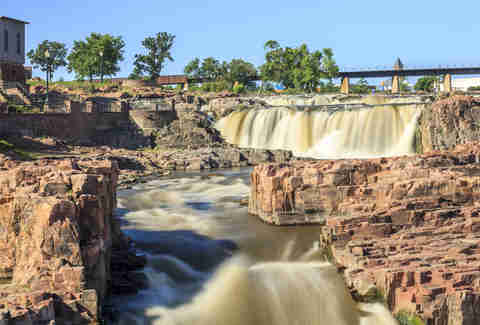 Each second, 400 gallons of water drop 100ft through Falls Park. Attached to the Falls Park Visitor Information Center is a five-story viewing tower with an outdoor observation deck that provides a 360-degree panoramic view of the Falls and city skyline. 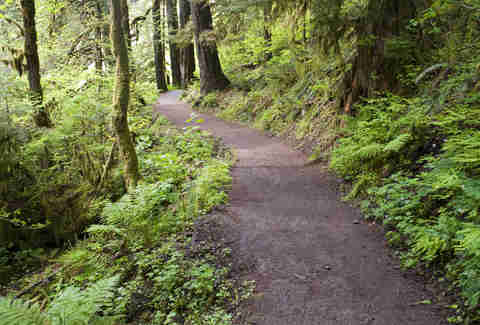 Also enjoy biking and jogging on a trail that whips right by the falls. Finally, check out the historic seven-story Queen Bee Mill built in 1881, known as "the most ambitious attempt ever made to use waterpower west of the Mississippi River." Central Park's funkier (and arguably better) counterpart in Brooklyn, Prospect Park is the ultimate play space for Brooklynites of all stripes. Celebrate Brooklyn!, a summer concert series at an open-air venue, features the latest and greatest in everything from indie bands to hip-hop acts and more -- and the shows are often free. Prospect Park also has a zoo, an ice rink, the first urban-area Audubon Center, a carousel for the kids, plenty of athletic facilities, and virtually no Upper East Siders. The tree-dense heart of the park reveals a beautiful ravine made by park designers Frederick Law Olmsted and Calvert Vaux, who designed Prospect Park as an encore, almost a decade after they designed Central Park. 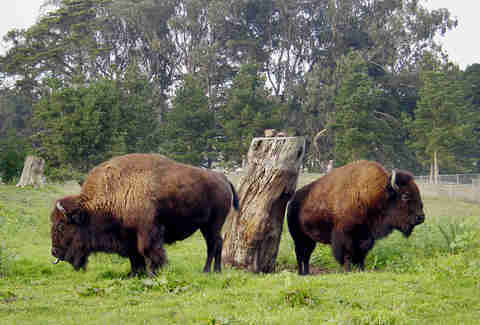 The fact that you get to see bison, alone, makes this park a winner because you don't just get to see a herd of buffalo in the middle of a city. Beyond the wandering ungulates, there's the Academy of Sciences, the de Young Museum, the Conservatory of Flowers, Hippie Hill (which attracted the likes of Janis Joplin and the Grateful Dead), Strawberry Hill and Stow Lake, windmills among the Queen Wilhelmina Tulip Garden... and that's really just the tip of the iceberg. Despite its more modest size, it can take several days to see all parts of this park. OK, this is technically not a park, but it's a cool enough open, public space that we had to include it on this list. Located on the top of Beacon Hill, this urban food forest is a woodland setting that sustains edible plants, trees, and bushes -- and all are welcome to eat the food straight off the plants. Which is the COOLEST THING EVER. With fruit-bearing perennials -- apples, grapes, plums, pears, and more -- plus nut trees, berry shrubs, and garden plots for vegetable growing, there's plenty to eat, right off the vine or branch. So grab an apple, meet your neighbors, and if you've got a green thumb, get in the fields and help out the nation's largest forageable space. The enormous Griffith Park (five times larger than Central Park) sits in the middle of the city, offering a welcome natural respite from LA traffic. Find walking paths in wooded areas, bridges, open areas for horseback riding, and one of the main park attractions -- the LA Zoo. 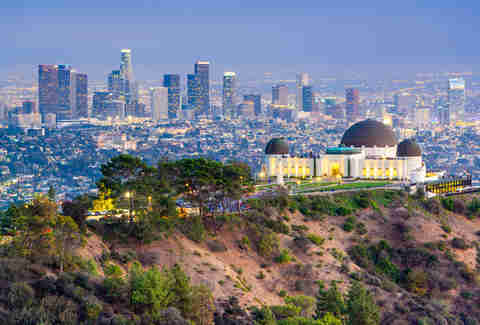 And you can't leave the park without heading to one of LA's most iconic sites, the Griffith Observatory; take in a spectacular view of Downtown, explore dozens of exhibits, and check out the sky with a public telescope. And when you're ready to check back into the glamorous city, enjoy close-ups of the Hollywood sign at Lake Hollywood Park. It's a bit unreal how much ground this park covers with arts and culture attractions. It's got 15 museums, the San Diego Zoo (with resident giant pandas), displays of art treasures, exotic animals, world folk art, brilliant, ornamental Spanish Colonial Revival architecture, and representations of a rich variety of cultures, including the Japanese Friendship Garden and WorldBeat Center, which celebrates cultures of African origin. And if you're a cyclist, the sports complex has a velodrome where Masters World Cup championships are held. Families can enjoy the many play and picnic areas, as well as hiking trails. And did we mention the park overlooks the Pacific Ocean? 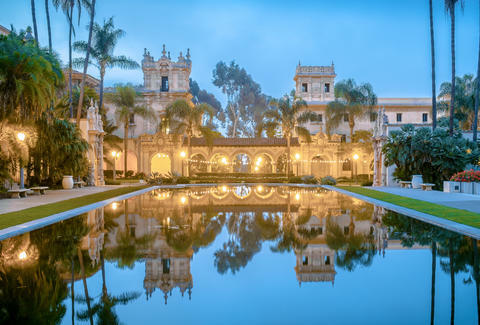 It may not be as well known as New York's Central Park, but it's 450 acres larger, coming in at about 1,400 acres of rolling-green beauty, with plenty of museums and activities. Originally built to host the 1904 World's Fair, Forest Park endures as one of America's greatest public spaces. You have your pick of visiting the surprisingly great (and free!) Saint Louis Art Museum, with paintings by giants like van Gogh and Andy Warhol; the Saint Louis Science Center and Planetarium; the Missouri History Museum with particularly interesting exhibitions on Charles Lindbergh; the Jewel Box, a greenhouse with hundreds of flowers; the Muny theater, the country's biggest outdoor theater; and the (also free!) Saint Louis Zoo. And if you're not here to sightsee, hit the trails, grab some friends, and get on the soccer field, or go skating at the ice rink during the winter. Don't miss the 75ft waterfall known as the Cascades, a breathtaking spot for an afternoon picnic. Nowhere else in America will you be able to walk manicured green space, look at a Van Gogh painting, and visit with polar bears and red pandas -- all without spending a dime. Nadia Imafidon is a Kansas-based magazine editor, freelance writer, and singer in soul/funk band Sharp 9. Follow her on Twitter at @nadia_imafidon.